The Online Professional Doctorates Programmes in International Business (DIB) taught by EENI Business School & HA Independent University is an advanced academic programme for graduates and professionals who wish to continue their career in the field of international business. The Doctorate in International Business (DIB) is part of the category of Professional Doctorates in Business, which has the dual aim of contributing knowledge and practice. The difference with a PhD, more focused on theoretical research, is that this Online Professional Doctorate in International Business (DIB) is focused mainly on practical professional experience. The students achieve a comprehensive understanding of theory and practice of the real problems and can apply creative solutions and decision-making related to international business. 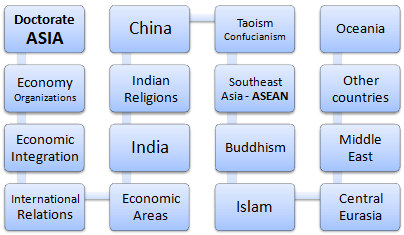 Topics such as markets interconnections, international economics, globalisation, regionalisation, international marketing, internationalisation, foreign direct investment (FDI), global ethics or social responsibility are discussed. EENI Business School & HA University recommends to students of the Professional Doctorate in International Business (DIB) working in international business-related position, to select a research topic related to their jobs. It is desirable that his academic work within the Professional Doctorate is part of his work in the company. Online Professional Doctorate in International Business (DIB). EENI Business School & HA University Business School & HA University offers the following lines of Professional Doctorate in International Business. The duration of the doctoral studies is a maximum of three calendar years since the formalisation of enrolment up to thesis deposit. If, after the three calendar years period the Doctoral Student has not deposited the thesis, the Doctorate Programme Direction may authorise an extension of up to two years. 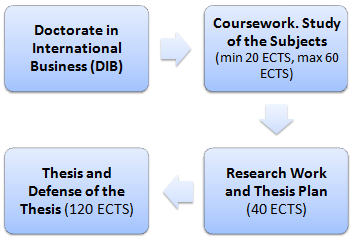 A Thesis Director is assigned to each student, who has overall responsibility for conduct of all the research work of the candidate, and a tutor, responsible for training adequacy and research activities. Thesis Supervisor will guide the student in thesis planning; he is ultimately responsible for the consistency and novelty of the thesis. Tutor and Supervisor (Director) can match. Co-direction of the thesis is also allowed. Directors of the Professional Doctorates in International Business (DIB Online). Doctor (PhD) in Economy and Territory (University of Barcelona, Spain). 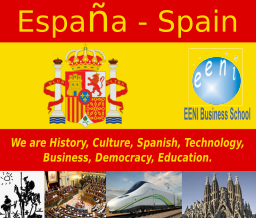 Professor at the University of Barcelona, Catalonia Open University, International University of Catalonia, Superior Institute of Marketing, EENI Business School & HA University. PhD Geneviève Barro. Directress of the Doctorate in International Business specialisation in Africa. Burkina Faso. Najib Yahya Abdulalem Hassan. Director of the Doctorate in International Business specialisation in Muslim Countries. Malaysia, Yemen. PhD Henry Acuña Barrantes. Director of the Doctorate in International Business specialisation in America. Colombia. PhD Fatos Beka. Director of the Doctorate in Ethics, Religions, and International Business. Kosovo. To be admitted to the Online Professional Doctorate in International Business (DIB), the students must have earned a Master's Degree or have a minimum of three years of work experience in relevant positions in the field of international business. It is crucial to note that this is a title of Doctorate in International Business issued by EENI Business School & HA Independent University, a private institution; it is not a PhD issued by a University. In Spain (and in the European Union), the issuance of Official Diplomas of Doctorates is regulated by the Government but not the Professional Doctorates in International Business (DIB). 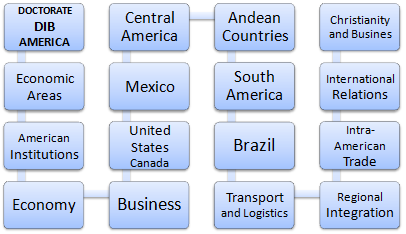 Doctorates in International Business - Comparative table. 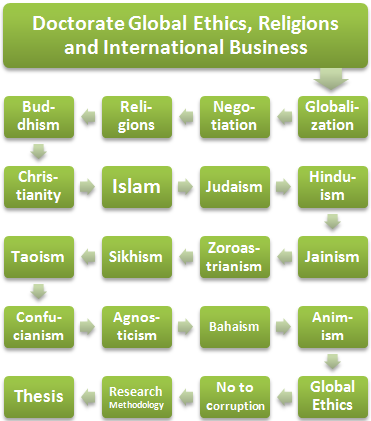 Professional Doctorate in Global Ethics, Religions, and International Business. Professional Doctorate in International Business (DIB) specialisation in Asia. Professional Doctorate in International Business (DIB) specialisation in America. 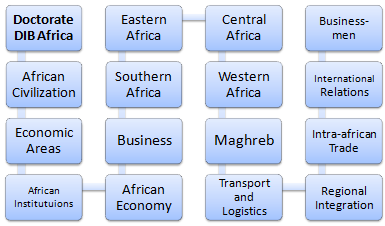 Professional Doctorate in International Business (DIB) specialisation in Africa. 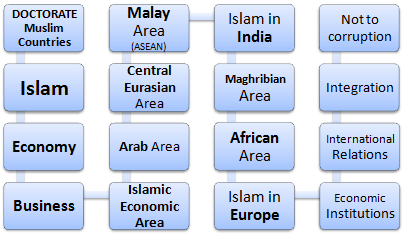 Professional Doctorate in International Business (DIB) specialisation in Muslim Countries. 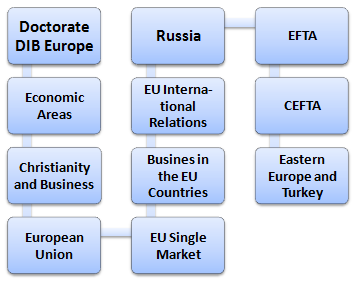 Professional Doctorate in International Business (DIB) specialisation in Europe. EENI Business School & HA University global ethics model is based, among other principles, on the Principle of Humanity that involves the challenge of designing Doctorates and Masters in international business, not only for the medium-high segment of the world's population, as we have done, and almost all worldwide educational institutions are doing, but also for that part of humanity, especially in developing countries, who cannot afford the high prices of the Masters and Doctorates in International Business.